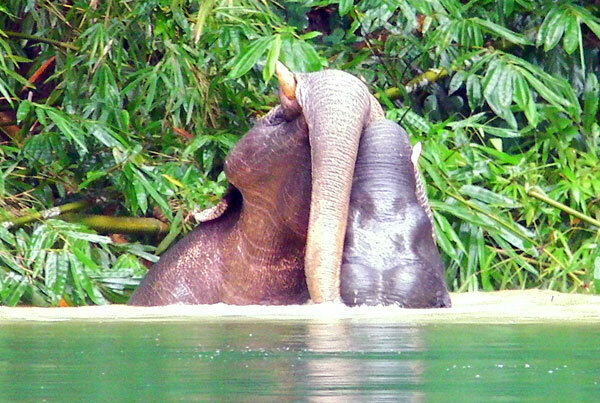 Khao Sok National Park is the most likely destination to see a wild elephant in southern Thailand. We do not see them on every trip, but they are rather common sightings. 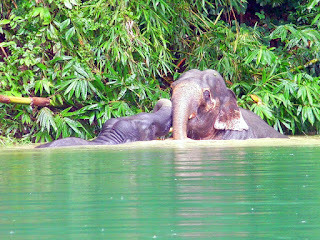 Mom and young elephant playing in the water. 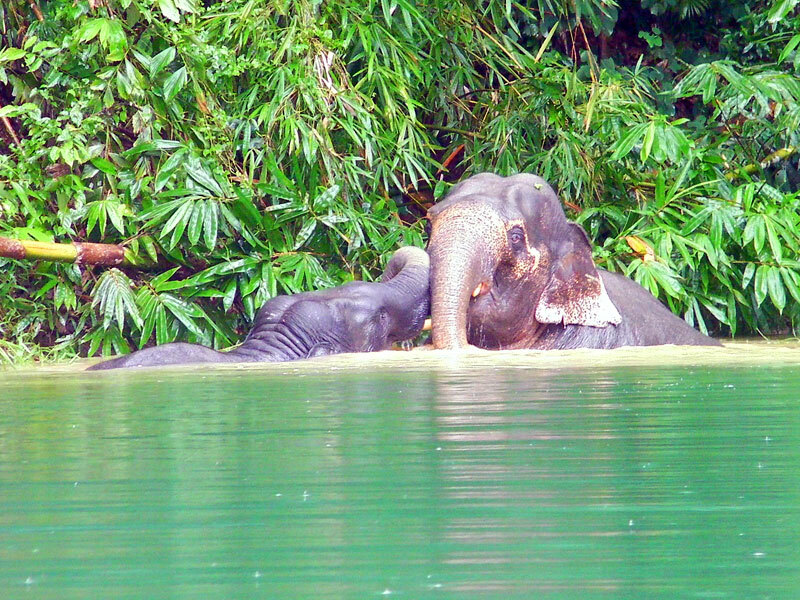 Kayaking is the easiest way to spot a wild elephant in Khao Sok. This playing session lasted for a very long time. They did not seem to mind us watching. 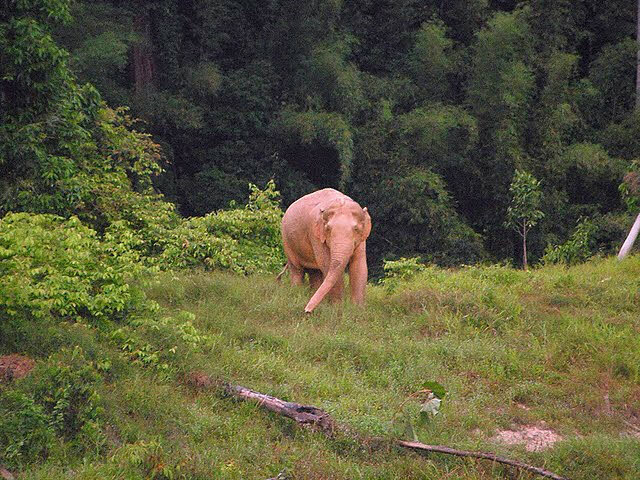 If you are trekking in Khao Sok, your chances of seeing a wild elephant are fairly slim. 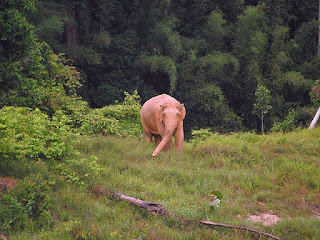 Besides that, encountering a wild elephant when on foot is not 100% safe. Click here to see a YouTube video of Khao Sok elephants playing in the water.